No one ever prepares for an emergency, but a dental emergency can happen at any time. Dental emergencies are often very scary because many people do not know how to react during the situation. 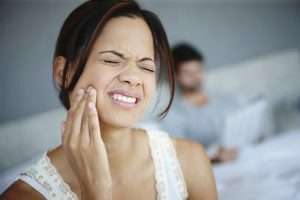 When trauma or injury to the mouth occurs, you need to seek treatment from an emergency dentist in Salinas right away. The sooner you receive care, the more likely we are able to prevent additional damage from occurring. As a result, there is an increased likeliness we are able to restore the tooth’s health and function to save it from extraction. Because time is of the highest importance, we offer same-day appointments to treat dental emergencies by calling our office before 10 a.m. Dental emergencies can take many forms, making it difficult for many to determine if they are in an emergency situation of not. It is important to learn how to detect common dental emergencies to ensure you respond accordingly. You do not want to delay treatment due to the unknown. Among the top dental emergencies involves having a tooth knocked out due to trauma to the mouth. This is why wearing a mouthguard is important when participating in sports. However, a tooth can be knocked out at any time. If you have a tooth knocked out, you want to handle the tooth as little as possible. But, you will need to rinse the tooth. Hold the tooth by the crown and do not use any soaps or cleaners. Do not dry the tooth because it needs to be kept moist. If possible, try to reinsert the tooth back into the socket. If you are unable to reinsert it, place it in a cup of milk. In some cases, a tooth may become dislodged but not fully knocked out. For a tooth that has been moved out of place, try to put the tooth back into its correct position and then bit on a piece of gauze to prevent the tooth from moving. A broken tooth is very painful and, if left untreated, can quickly lead to infection or the death of the tooth. If your tooth has severely broken or fractured, you need to be see right away. Try to find the pieces of the tooth and rinse the mouth with water. Avoid placing any pressure on the tooth and apply cold compresses to help reduce the swelling. For severe breaks, a dental crown may be required to repair the tooth. If your tooth has only been minimally chipped or damaged, you will still require care but it is not as high of a priority as with a severely damaged tooth. At Blanco Circle Dental Care, Dr. Klugnan is a dentist for emergency dental in Salinas. Dr. Klugman understands how stressful the situation can be. He will help calm your nerves and repair the damage quickly and effectively. If you are in need of an emergency dentist, please contact our office before 10 a.m. so we can get you in the same day.